This Supervisory Management course is an excellent choice for anyone working in, or seeking to move into a management, supervisor or team leader role. Our Supervisory Management programme is a clear and practical guide to management skills. Over 2 days, we cover the key principles of effective management, and examine the characteristics of successful managers. You will learn how to motivate staff and resolve problems proactively to achieve a favorable outcome. We also focus on skills necessary for effective communication, so that you leave feeling confident communicating with both team members and higher management. What are the benefits of this Supervisory Management Course? This course is very popular with those hoping to move into a management or supervisory role. Completing 2 days of training gives you a superb foundation of management skills. Clear communication is the cornerstone of any management skills portfolio. It's crucial to know how to listen, question and effectively get your message across to others. Addressing and resolving problems is part of every manager's remit. Our trainers will help you to identify issues at an early stage and advise you on the best techniques for getting a win-win result from problem solving. Often a move into management can be daunting without training. Attending management training builds your confidence and encourages you to invest in best-practices in all aspects of your role. 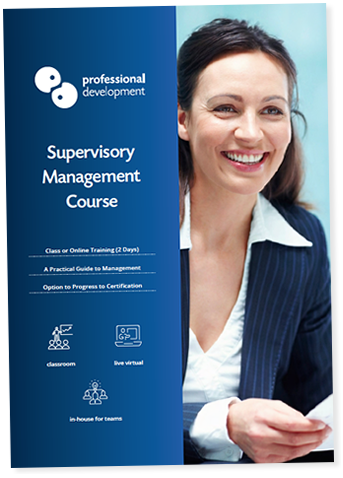 What is covered on this Supervisory Management Course? Who Attends this Management Skills Course? Our Management Courses are not industry-specific, meaning that the skills apply to every sector. 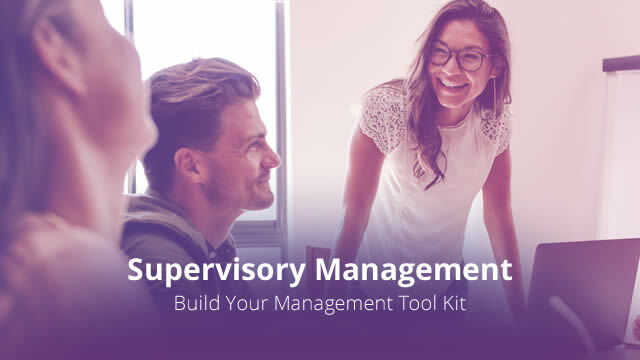 We encourage managers, team leaders and supervisors of all levels - even those who are not yet working within a management role - to attend our supervisory management course as it can serve as a refresher or a foundation for day to day management skills. You don't need to bring anything. We will supply course materials, lunch and refreshments. We will be happy to help. You can click to ask a question below or call us on 01 861 0700.